Amanda Howard Real Estate ranks as one of the Top Teams in the Country! I have some fantastic news to share today. According to REAL Trends and The Wall Street Journal, Amanda Howard Real Estate is ranked as one of the top teams in the country. This is a prestigious national award ranking each individual team across our country. Out of 1.1 million agents registered and reviewed nationally, Amanda Howard was ranked #42, which is quite a jump over previous years, as we were ranked #79 in 2014 and #107 in 2013. As if this recognition wasn’t enough, we were ranked at the top of the list of America’s Best Real Estate Agents by REAL Trends and sponsored by Zillow Group! We were ranked #1 in Alabama in two categories: Team Professionals- Transaction sides and Team Professionals—Sales volume. Not only were we ranked #1 in Huntsville, we were recognized as the best team in the entire state! This is a huge honor, and it hasn’t been easy to get this far. Our success is backed by actual data produced and confirmed by our local Realtor’s association, which is sent to an independent group who compiles these national lists. We wouldn’t be able to have this level of success without your support! 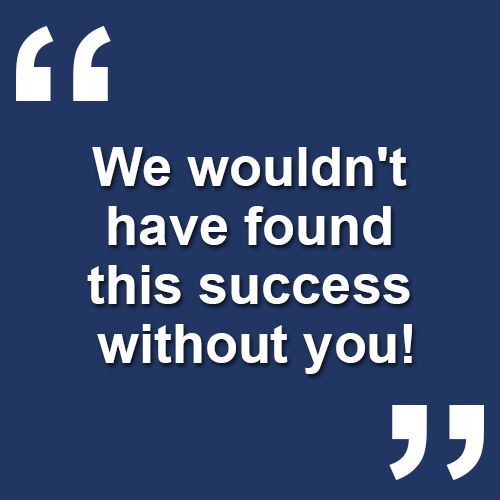 We thank you for trusting in our team and allowing us to serve you and your real estate needs! Your trust and loyalty means the world to us! 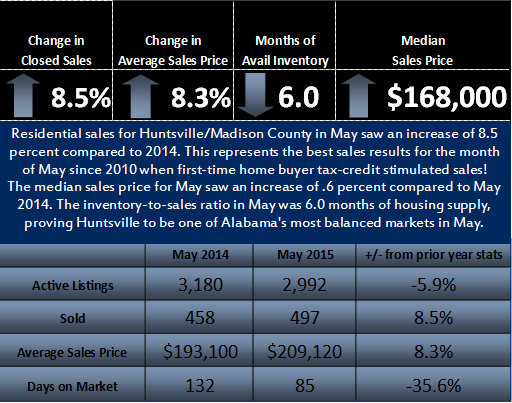 Residential sales for Huntsville/Madison County in May saw an increase of 8.5% compared to 2014, which represents the best sales results for the month of May since 2010! Despite the excellent growth our market has experienced, Huntsville is still one of the most balanced markets in Alabama, as we still have 6 months of available inventory. As home prices continue to increase in the Huntsville area, now would be a good time to make your move if you are ready. There is a lot of available inventory to choose from, and the number of days it will take to sell has dropped significantly. In other words, conditions are perfect for a smooth and painless transition to a new home. As always, if you have any real estate questions, or if you need real estate assistance of any kind, give me a call or shoot me a quick email. I would love to hear from you!